Issue two coming in march! 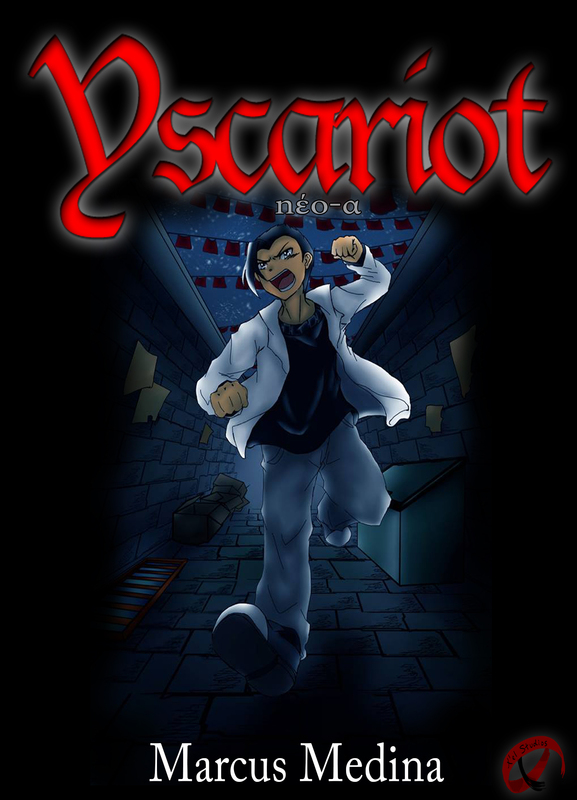 issue Two of Yscariot: Sphere of Light is currently under development and is slated for a March release. More information about an exact date is coming soon! Issue 02 will feature two verses and introduce new characters. A friend from the neighborhood in Shanghai read some of Yscariot during the holidays and took it upon himself to translate Verse 0: Prologue (Earth) in Arabic! It was perhaps one of the greatest random acts of kindness for the upcoming epic. Yes, the English version is still under development, but it would be awesome to see an ALPHA written entirely in Arabic. Special thanks to Nazar Q. for his efforts on this draft. The author of Yscariot™, Marcus Medina, was born on November 20th, 1983. Team X’el is proud to have Marcus as the President of the studio. We all hope that you continue following this novel project and help and watch it grow into something much more successful. Happy birthday, Marcus! Enjoy Korea on your 31st, and may you continue your light on the world! Why this awesome work needs your rating! You can rate and comment via Google Account. Why? Because ratings let the author know what he or she is doing right or wrong. Also, this is the first time I worked on something this major. Creatively, there are things I know I cannot change, but the way it will be presented may change in the future based on ratings. Just to simplify things, I just need your ratings from 1 to 5 with a personalized comment about what you like and/or don’t like about the book. It will be great to have ratings on display to encourage other readers into downloading it from Google Play. Of course, this comment is geared towards the loyal followers, but all readers are encouraged to rate! I do appreciate it! The overall mission is to write a masterpiece, but how will I know if my book serves it’s ultimate purpose without any readers to back it up? Sometimes, I wonder, but I must be persistent. With the Beta and Gamma both reaching over 400 downloads, I am happy to announce that the Delta will be created and is due to release sometime this month. Thank you to all who have downloaded and read my story! The Facebook page has also reached over 7,500 fans! Thank you for taking interest and motivating me to move forward with the mini-books project. My second FREE preview to my book “The Gospel of Yscariot” is now available on Google Play in NOVEL FORM. Here you will get the Alpha Verses (0-1) and a deeper look into the story with the BETA Verse (Verse 2). Get it, Rate it, Share it… ENJOY IT!